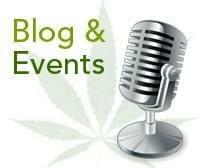 Where's Weed provides business owners with powerful tools to manage and market their business. To help reach as many customers as possible, we've created a business resource section with tips, tutorials and helpful links to set you on your way. With mobile search on the rise, prospective customers are looking for businesses like yours online. 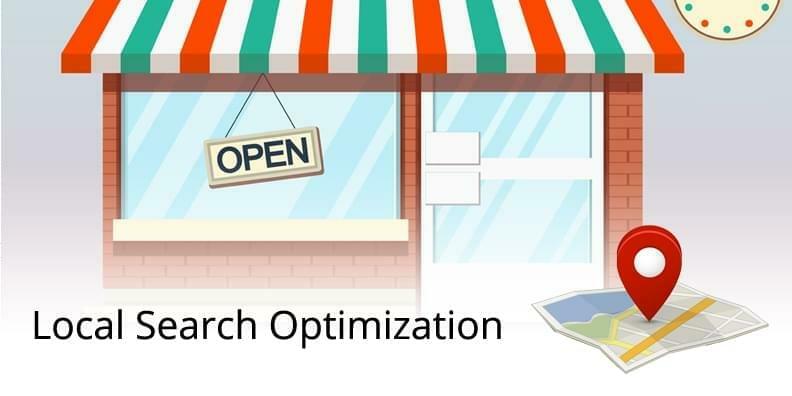 Make sure your businesses is optimizing it's local search listings to its fullest potential with these 5 tips: Tip #1: Optimize your on-site elements The first step in local search optimization for a dispensary is ensuring you have established a solid foundation from which to begin your outreach. Think of your website as the central hub for all of your other internet marketing activity. Proper optimization of your website ensures web crawlers will properly identify, categorize and index your online presence. If you haven't already optimized your website, Moz.com provides a number of great resources on on-site optimization and optimizing for local search. Here are a few key items to verify: Listing your name, address and phone numbers on every page of your website in a plain text format. Avoid including any of this information in a graphical format. Inclusion of your target keywords within your website title, meta data, headings and body text. Be sure to include your locality (city & state) where possible, but also remember to use unique keyphrases and copy for each page! SEO Friendly URLs: Make sure your website URLs are in an intelligible and comprehensible format (yourwebsite.com/marijuana-menu vs yourwebsite.com/content.php?id=123). Where possible, include your target keywords for that page in the URL. Make sure your website is mobile friendly. Last year, Google stated that websites that offer a mobile format will outrank those without and that they prefer responsive websites vs a separate mobile website. Google Mobile Friendly Test Tool: https://www.google.com/webmasters/tools/mobile-friendly/ Submit your website sitemap to Google Webmaster Tools and Bing Webmaster Tools and verify Google is able to properly crawl your website. Tip: If you're using WordPress, be sure to check out the Local SEO by Yoast plugin. TIP #2: Claim & optimize your third-party listings Adding your business to the multitude of local search sites is important for driving consistent & verified business signals across the web. When claiming your profile on these websites, be sure your business information (name, address, phone, website, etc) is consistent across all platforms. This is extremely important! Google: When a user searches locally, Google will display local businesses within a carousel or a list and often exclude common third part directories in favor of Google's local search ecosystem. Because of this, you should consider your Google Business Profile a top priority for optimization. Include proper geographic and contact information (business name local phone number, address, website, etc) Keep in mind that Google cares about engagement! Treat your Google business page as if it were your own website - write unique copy that engages your customer even if they never visit your website. Google Business: https://www.google.com/business/ Other Tips: Make sure you select the proper categories for your business. With the marijuana industry constantly evolving, dispensaries have yet to receive their own classification on many directories. Based on our research, we've found that these are the most common category selections: Cannabis Clinics Alternative Medicine Practitioner Holistic Medicine Practitioner Home Health Care Service Herb Shop Medical Center Medical Supply Store Consider including your business descriptor (dispensary) or geographical location in the business name/title. Avoid including extraneous characters or your phone number. We said it before and we'll say it again! Make sure your geographic information is consistent across the internet - having multiple or varying addresses can be a costly mistake. Include engaging photos that highlight your business and your products Third Party Directories Where's Weed - https://wheresweed.com/tour Facebook - https://www.facebook.com/pages/create Yelp - https://biz.yelp.com/ FourSquare - http://business.foursquare.com/ Bing - https://www.bingplaces.com/ SuperPages - http://claimlisting.superpages.com/ Infogroup - http://www.expressupdate.com/search TIP #3: Maintain a positive online reputation Maintaining a positive reputation online with a large number of reviews has been proven to improve rankings at Google. Additionally, 85% of consumers use the Internet for research before making a purchasing decision. (Yelp). With online reviews directly attributing to your sales, it is important to engage your customers and build a loyal following online. Acquiring Reviews Now that we understand positive reviews are vital to your business, focus on quality, quantity and velocity (how frequently reviews are posted). Consider asking each customer to leave a review, or better yet, include a card with each purchase, asking for reviews on your social media channels. Responding to Reviews Responding to your dispensary's reviews (both good and bad) shows potential customers you are responsive and care about their experience. Bad reviews do happen, and when they do, take a step back and cool off! Respond positively to criticism, apologize for any misdoings and invite the customer back for another try. After all, the world is watching! TIP #4: Be a part of your local community and build relationships Building real, meaningful relationships will benefit your business in customer referrals, but also with powerful connections across the web. Once you've established these relationships, encourage quality, real links to your business website. This will help establish link authority to your website, thus improving your search and local listing rankings. Keep in mind, quality far exceeds quantity in terms of links. Avoid spammy, low quality links that may damage your link profile. A few ideas on obtaining local links: Join your local Chamber of Commerce and obtain a listing in their online directory Cross promote local events such as concerts, festivals or advocacy groups. (Tip: Links from EventBrite carry great link authority!) Create link exchanges with local doctors, suppliers, vendors, etc. Find ways where you can contribute content to local publications in return for a link (think author byline, quotes or partner pages) TIP 5: Leverage social media to build loyalty While most businesses have a Facebook and Twitter profile these days, whether or not they are leveraging them properly to interact with customers is another story. How do you know what type of content to post? Or how to attract new followers? In simplest terms, your social media campaign is a worldwide, public conversation with your customers. Build brand loyalty and turn your community of followers into brand ambassadors. Post engaging content, whether that be in the form of local events or activism, daily specials or plain old trivia. Finding out what interests your customers online will ensure future interactions with your business, both online and offline. Where's Weed is pleased to announce the release of a Wordpress menu widget, allowing dispensary owners to embed their product menu directly on any Wordpress website. In addition to pulling menu data in real-time, the Where's Weed menu widget has also been developed to embrace responsive web design, allowing it to adapt for mobile, tablet, and desktop devices -- making sure customers can view product information on any device. The menu widget also allows customers to pre-order their purchases online, directly from the dispensary website. After adding products to their cart, customers will be asked to provide a one-time identity verification, including a valid driver's license and photo of their medical card. Download the Widget How to install your Wordpress marijuana menu widget Step 1 Download the latest version of the menu widget from the Wordpress plugin repository here. Step 2 Log in to your Wordpress administrator, visit the Plugins page, and click on Add New. Select the menu plugin tool and click Upload. Step 3 Place your business url (e.g. https://wheresweed.com/state/city/business-name) in the plugin settings Step 4 Place the shortcode "[ww_menu]" (without quotation marks) in a Wordpress page wherever you would like the menu to be displayed. Like it? Like the new widget? Give us a review in the Wordpress plugin repository. Need Help? Having troubles or want to customize your menu? Contact us and we'll be happy to help! DENVER, CO - Where’s Weed has announced new support for online ordering, enabling business owners to integrate online ordering widgets directly on their own website and social channels. This is in an effort designed to drive more online ordering engagement, while fitting seamlessly within the business owners’ digital identity. With the new online ordering widgets, customers can browse current offers and begin the pre-order process directly from the business website. During the order confirmation process, customers are required to upload identification and medical verification if required. Originally debuted in the second quarter of 2015, Where’s Weed's Online Ordering platform has seen outstanding growth, with more than $75,000 in online orders placed in the first two months. The company has also expanded its offerings to integrate a variety of widgets within the popular website CMS, Wordpress. With a few clicks, dispensary owners can now integrate their marijuana menu in Wordpress, along with their daily specials, follow buttons and reviews. Where’s Weed plans for continued development of the online pre-ordering system as businesses nationwide embrace the turnkey platform. About Where's Weed: Where’s Weed helps people connect with trusted marijuana businesses right in their community. Since 2011, Where’s Weed has been dedicated to helping patients discover marijuana dispensaries and doctors, review marijuana products and interact with others in the community. In our previous articles, we discussed the basics of online ordering and also setting up online ordering for your first time. Today, we'll be covering how the communication between the business owner and the user works. Online Pre-Ordering Communication Flow Step 1 Users visit your profile and add products to their cart. Users select various products and quantities from either your medical or recreational menu (if applicable). Step 2 Once the user is ready to complete their order they proceed to the cart to finish the checkout process. This is where the user enters all the important information you as a business owner need. The following information is required to place an order: - Name - Date of Birth - Driver’s License # - Upload picture of Med Card (HIPPA compliant system)* If applicable - Delivery Address and desired time * If applicable - Delivery Fee * If Applicable Step 3 After completing this information the user can then place the order. Immediately after the order the user receives an email and the business owner is immediately contacted via all of their designated contact methods (either email, text, or both)- found within the Online Ordering settings page. Step 4 Once you as the business owner gets the pre-order, simply press “accept” or “deny” on the prodder processing page after carefully reviewing the applicants details. Once approved, the user will be notified. If you decide to decline the order for whatever reason, please include that in the order notes section. After the order has been accepted and is marked as processing, you should either be waiting on the customer to come pick it up or have it on its way for delivery. Step 5 Once the order has been completed, please mark the order as complete on the system. You can either archive it in the system for record keeping or delete immediately if you would like. Your customers will also have the option to mark the order as complete and leave a review for your business. Closing thoughts Eventually we will be displaying some order statistics on businesses to help users make decisions. A few metrics that we will be tracking and possibly reporting on in the future are: Response time to confirm an order Average time from order placed to completed Average review of business after online order Total orders placed, accepted, and cancelled Have a question or comment? Contact Us. Where'sWeed is happy to announce the full release of its new Online Pre-Ordering platform. With this, patients can how place pre-orders for pick-up or schedule a delivery to directly from your Where's Weed profile. In our last article, we discussed the basics of online ordering and covered frequently asked questions. Today, we'll be walking through the initial online pre-ordering setup and several settings you'll want to adjust. If you haven't yet requested to activate online ordering, you may do so here. Once you're approved, simply head on over to your business profile and click "Edit," followed by clicking on the "Ordering" tab. Online Ordering Settings This page will allow you to control specific online ordering settings, such as tax rates, deliver fees, hours and more. You'll find explanations of each setting below: Tax Rate This can be your city, state or municipal sales tax. If left blank, tax will be included in the product listing. Delivery Fees Setting up delivery fees forces your customers to select and pay for a specific delivery area. You can add as many of these as you would like, and simply drag and drop them to re-order. Contact Points Contact Points allows you to customize your points of contact so we can notify you when an order comes in. You can choose to receive email and text message notifications to a number of different addresses/numbers. Delivery Hours Set the hours you want to take online pre-orders. Please note: you may not want these to be the same as your store hours. If your shop closes at 7pm, you probably don't want people placing a pre-order 2 minutes before you shut your doors. Be sure to this this portion through carefully so you don't leave any patients hanging in the wind. Enabling Products Once you have adjusted your Online Pre-Ordering settings, head on over to your menu and select the items you'd like to have available for pre order. Simply edit items (bulk edit) and select: Pre-Order - > Available. In the next help series we'll be going over the actual communication process once an order is placed. Have a question or comment? Contact Us. Where's Weed is happy to introduce a new business feature, called Online Pre-Ordering. With this, customers can now place pre-orders directly from your business profile. This seamless process will increase efficiency, while saving you and your customers time. Where's Weed does NOT handle any money, facilitate any transaction or provide customer verification for legal reasons. We strictly allow users to submit their intentions to a business on our website and facilitate communication during the initial process. How it Works Step 1 Users visit your profile and add the products they wish to purchase to their cart. Users can select various quantities, as well as products from your medical, recreational and retail menu. Step 2 Once the user is ready to complete their order, they will proceed to their cart for the checkout process. From here, users will be prompted to complete their online verification, include legal name, date of birth, drivers license number and medical card if applicable. Step 3 Once the order has been placed, both the user and the business will be notified. As the business owner, you will the option to accept or deny each order after carefully reviewing the order details and the applicant's credentials. Upon approval, you can mark the order as being processed or delivered. Step 4 Once the order is ready, you as the business owner can notify the customer with the click of a button. Notifications can be sent via text message, email or app notifications. Step 5 Once the order has been completed, the owner can verify the order and archive it for record keeping, or delete it immediately. Additionally, your customers will also be kindly asked to leave a review for your quality service. How do I get started? Currently Online Pre-Ordering is in private beta testing. To apply for early access, please submit your business. Once beta access has been granted, you will be notified that online pre-ordering is available for your listing. By default, all products will be available for online pre-ordering. To disable this for certain products, simply check the box next to each product, click "Edit", then mark the products as "Unavailable" for Online Pre-Ordering. Frequently Asked Questions How much does this service cost? This service is included with all business listings. Are you actually processing transactions? Where's Weed does not facilitate any transactions what-so-ever between businesses and their customers. This is a pre-ordering tool only. How secure is the system? Where's weed takes privacy and security very seriously. All orders, and browsing in general, are handled through a 256-bit encrypted SSL connection. Our systems are constantly monitored for uptime and are hardened to ensure smooth, protected browsing. We do extensive penetration testing to guarantee accurate, secured data and peace of mind. How do I view my orders? Once an order has been placed, you will be notified via email, text message or app notification (your preference). As you can expect, it is important to respond to pre-orders in a timely manner. How can I verify my customers? Before placing a pre-order, customers are required to complete a verification form. This form contains their legal name, phone, date of birth, drivers license number and medical card if applicable. It is the business owner's responsibility to verify this information with the customers identification at the time of pickup/delivery. How is the customer notified? Customers will be notified by email, SMS text message or app notification. Communication is critical to a successful pre-order. Therefore, it is advised to relay as much as possible to the customer through the pre-order "Notes" section. What happens if I need to cancel an order? As a business owner, you may cancel an order at any time. When doing so, it is advised that you specify a cancellation reason in the "Notes" section. Can users order from their mobile phones? Yes, Online Pre-Ordering is available on handheld devices via our mobile website or mobile application. How are taxes implemented? Taxes are left up to the business owner to determine. By default, taxes are "included" in the product price. To add a tax rate, simply visit the "Edit" page of your profile and enter in a tax percentage to be applied to all orders. Have a question or comment? Contact Us. Ready to get started with your WheresWeed.com business listing? Great! Below are 5 quick tips to help you get your profile set up and in front of potential customers. These are the very first things you should do after you register your profile. They will help you build your patient base quicker, reach a wider range of patients across the site, and maximize your brand awareness across our platform. 1. Put your map marker in the largest populated area you service. Unlike our competitors, we do not have predefined regions for businesses- instead we use a radius to determine where your business shows up. Featured packages get up to a 10 mile radius while premium packages get a 15 mile radius from their map marker. 2. Add a special for every day of the week, make it re-occurring or whatever you would like. Having a special for each day of the week gives you some extra enhanced visuals in the search results and allows your business to be found when patients are searching for specific types of specials in their area. Also, days that you have specials listed you immediately get a bump in your rankings on our site. 3. Try and get as many reviews as possible. We have found that 8/10 patients view the reviews page FIRST when checking out new businesses, so making sure you have something there that speaks positively about your delivery service will help a lot. 4. Upload a picture- it helps with your click through rates in search results. 5. Keep your menu as up to date as possible. Better yet, sync your menu with our competitor websites and keep your menu up to date from a single website with just a few clicks of your mouse. Have a question that wasn't answered in the business blog? Contact Us and a customer success manager will get in touch with you to make sure all your questions are answered. As a business owner, you've undoubtedly invested great amounts of time, sweat and tears into your business. You pride yourself in your accomplishments and your great customer service. Until one day it all starts -- you discover negative reviews about your business. At first you might be confused or even angered at remarks, but as a business owner, you realize the world is watching and professionalism matters. In this article, we would like to put forth guidelines and best practices for engaging your customers online and monitoring your online reputation. A 5-Star rating is your #1 Goal ALL of your marketing efforts (whether online or offline) lead to a consumer learning more about your company. Therefore, finding anything other than impecable reviews will quickly drive your customers away. Still not convinced? “85% of consumers conduct online research before making a decision” “79% of consumers trust online reviews as much as personal recommendations.” “A one-star increase in Yelp rating leads to a 5-9% increase in revenue.” Engage your customers Whether you received a glamarous review or a less than flattering review, it's always important to engage your customers by responding directly to a review. Not only does this show you have great customer service, it also helps you build a relationship with the customer. According to a recent study by Bazaarvoice, 7 out of 10 respondents said their opinion was changed after a business responded to a review. Furthermore, when a potential buyer saw that the businesses responded they showed a higher purchase to intent. Reviews & Tips on Where's Weed As we previously discussed, your overall ratings and reviews contribute a great deal to your profile visibility score. Frequent reviews of your business and engagement with your customers through those reviews are more important than ever. In a recent test, we have found that when checking out a nearby business, over 50% of patients visit the reviews page first. While businesses can never pay to have reviews removed, business owners can respond directly to customers. Again, this helps you engage your audience while re-establishing trust among your previous customers. To access this feature, contact your Where's Weed account representative. Large coupon and daily deal sites are great, but Where's Weed wants to help you attract more customers by broadcasting the specials & events you are already having on a daily basis. To do this, we have provided a number of tools that allows you to upload your daily deals and events to Where's Weed and across the web. Even better, listing a daily special will help your listing stand out among your competition. Below you will find several tips and best practices, as well as an introduction to Specials Syndication. Adding & Editing Specials Adding or editing your businesses specials is very similar to the way you add/edit menu items. After logging in, click on the “Specials” tab in your profile header. Next, simply click the big green button at the top that says “Add a Special.” From here, you can choose to add a special, an event or a simple message. 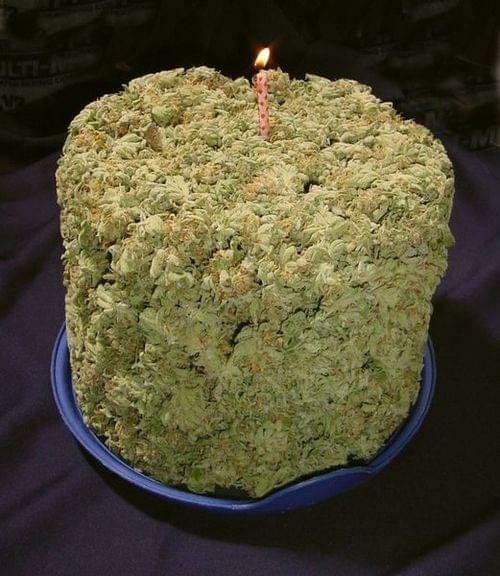 If you’re adding a special or event, be sure to set: the type (set price, $ off, % off, BOGO, etc) the product title (Eigths of Sour Diesel) the dollar amount ($5.00) and the category (bud, edibles, concentrates, etc). Once you have entered in the basic information, you can also choose to schedule and repeat this event. For instance, you can select the special to run for one day only, multiple days, or recurring. If you select recurring, you can choose how often it repeats, the days it repeats on, and when it is set to end. Removing a Special or Event To remove an existing special just hover your mouse over the desired special until you see a pop-up that says “Toke it,” “Edit,” or “Delete.” Clicking delete will remove all recurring instances of that special or event.